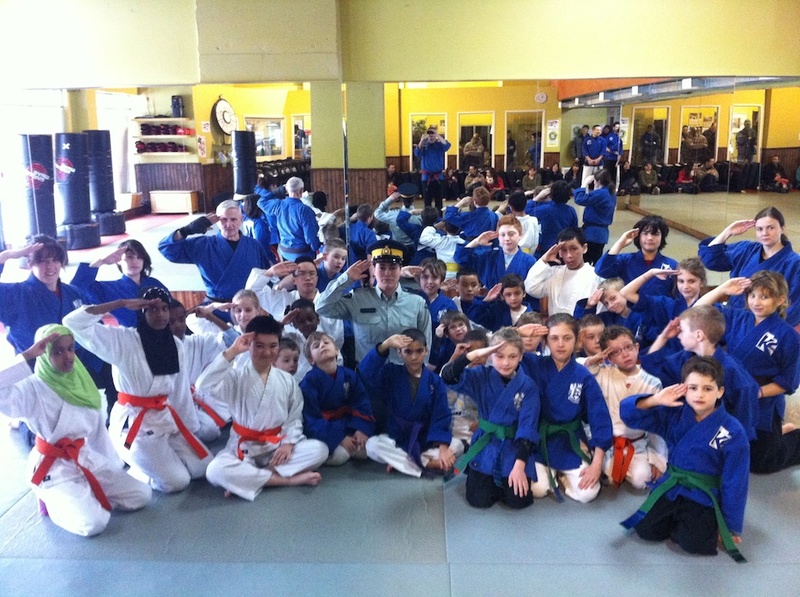 RCMP officer visited K2 Martial Arts to educate the students on street safety tips. The K2 Martial Arts children’s’ class in Ottawa, Canada was treated to a special visit by Corporal Julia Bernier-Makenzie of the Royal Canadian Mounted Police, who spoke to the children about the importance of keeping a focused eye for danger and hazards while playing outdoors. 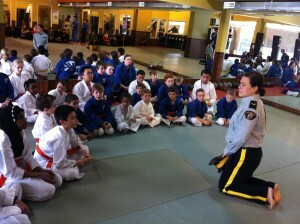 The children enjoyed the discussion and benefited from Corporal Julia’s safety tips. The RCMP Corporal was gracious enough to allow the children turns trying on her hat and, as a bonus, taught them the proper way to salute. 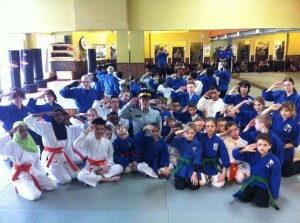 K2 Martial Arts teaches kids focus and discipline attributes to Jiu-jitsu and karate alike. We offer monthly community workshops for issues such as street safety, anti bullying, and goal setting. These workshops are always open to the general public and, of course, friends and family members. Please feel free to contact us at info@martialartsottawa.com for more information.